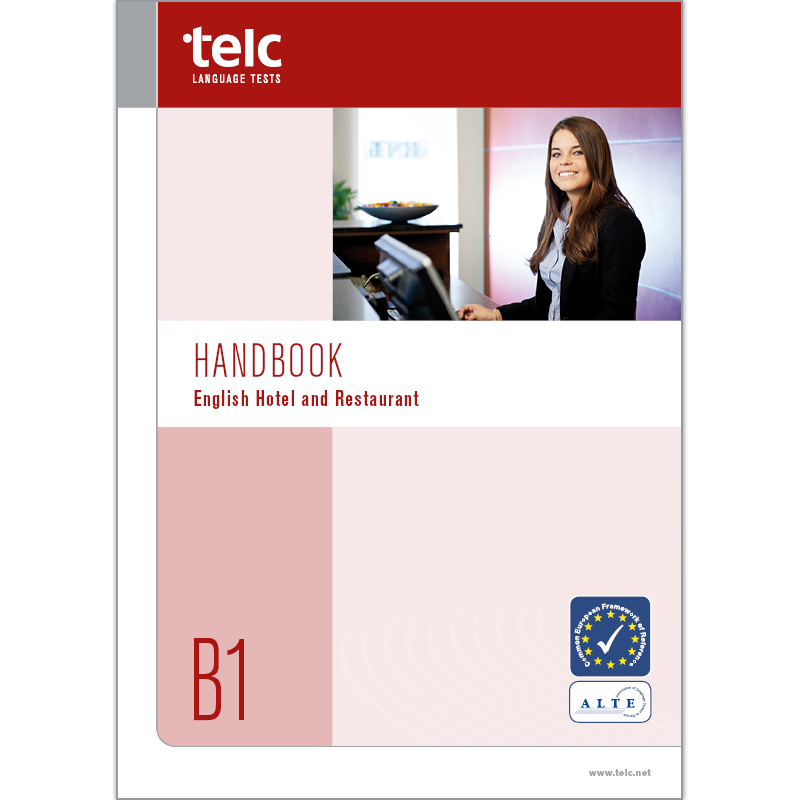 The telc English B1 Hotel and Restaurant Handbook provides detailed information about the specific features of the vocationally oriented English B1 examination. It describes test format and specifications and contains inventories of the topics and additional vocabulary necessary for this examination. The handbook provides candidates and teachers valuable support while preparing for this examination. The Examination Handbook explains the test’s theoretical foundations. Whether item writer, textbook author, teacher or exam candidate, the Handbook aims to clarify and achieve a better understanding of the test and the requirements necessary to pass it. While the test specifications generally describe the various task types that can be expected to appear in each of the subtests, the Mock Examination gives hands-on experience in solving them. Used together, the Examination Handbook and the Mock Examination can help you and your learners feel more secure in knowing what to expect on the real test. In addition to defining the test specifications, the Handbook provides an explanation of the CEFR descriptors underlying the exam as well as a description of the language skills required to communicate effectively in professional life. An inventory of additional vocabulary required for this examination is provided in the handbook. The Examination Handbook provides a comprehensive description and explanation of the learning objectives and exam requirements. For perfect test preparation, we recommend adding the Mock Examination to your course programme.